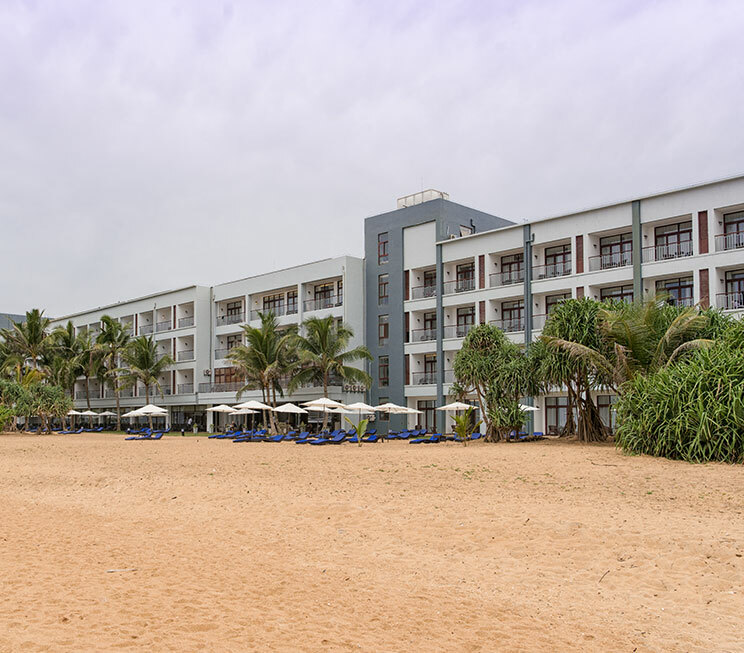 Located just beyond our island capital of Colombo, Jie Jie Beach by Jetwing welcomes you to Panadura and its palm-fringed shoreline at the suburban limits of the southern coastal belt. As the largest of hotels in Panadura and our family across the island, this seaside home of Sri Lankan hospitality lives and breathes tropical luxury with not only the plush offerings of a lavish Presidential Suite or a romantic Honeymoon Suite, but also a separate building dedicated to housing multiple banquet facilities for your next meeting or event of any size. And with its convenient location between the urban hustle and bustle of the our urban capital, and the pristine stretches of beach along the sunny southern coastline, Jie Jie Beach by Jetwing is ideally positioned to offer an enticing combination of traditional and cosmopolitan experiences including beach activities, village tours, excursions to cities, archaeological sites, historic landmarks and more.